Summary (Goodreads): In the delightfully wicked follow-up to Soulless, Alexia Tarabotti is entangled once more in Victorian London’s supernatural mysteries. Review: I love this series. I cannot get enough of Gail’s wit and charming characters. This book did not disappoint and I look forward to reading the next in the series. 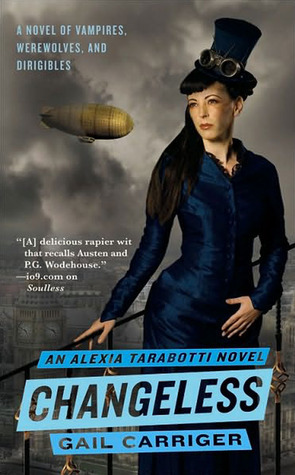 There’s a great deal of intrigue in this book as in the first and has also added more steampunk. Though at times I felt the descriptions were a bit lengthy in certain parts, the double twist at the end entirely made up for it! I don’t want any spoilers here, so I’ll leave it at that! Recommendation: Great read! If you liked the first in the series then you will not be disappointed in this one!